These would make my office look so much better! Good Luck to everyone entering the Sweepstakes!!! This is the kinda thing I would love but is always at the bottom of my expense list. They would look great next to my computer. I've been thinking about getting a pair of desktop speakers for my computer. These look like they'd fit the bill nicely. I hope I can get a pair. I need something like this to listen to my favourite music at work! I just might get these if I don't win. I've been wanting new speakers with iMac. I like ham. I could use these speakers as well. They look great - would love to have them on my desk @ work! They would be resigned to an arduous duty on my boisterous, cluttered desktop. Forever departed from the sleek idyll of a marketing department's simulacrum. I'm looking for a speaker setup for my office and these would fit nice! I'd love a pair of these...count me in. Would be nice to actually have speakers for once..
Oops double post. Mods remove this please. Those speakers would be great to replace the terrible logitech ones I've had on my desktop for the longest time. thanks for the opportunity & good luck to everyone! This has just become my Focal point. another great prize for one of us!!!!!!!!! well done innerfidelity!!! Never really used bookshelf speakers. I'd be interested in trying. I suppose this is as good a time as any to finally register considering how long I've been coming here. ....so hell yeah, I want to enter this contest!!!!! Chicken Dinner. Could use some powered speakers. I work 50 to 60 hours a week. These would sure make that time more pleasant! Now that's something my desk desperatelly needs. Thanks for the giveaway. "Eligibility: Entrant must be 18 years of age or older as of April 25, 2013 and a resident of the 50 United States and the District of Columbia." I certainly wouldn't protest to owning them. This will save me a lot of space! 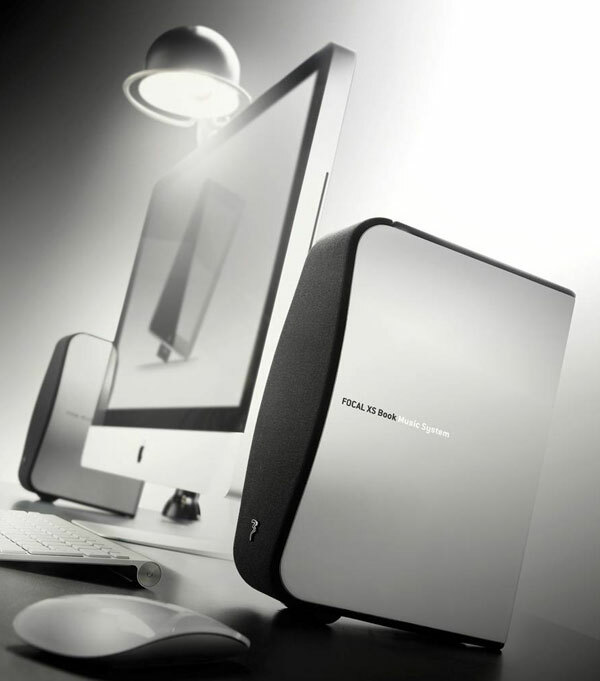 Its nice to see a company known for making such high quality speakers getting into the desktop speaker business! I bet they sound great! These speakers would be a great addition to my desktop system. I wonder how Random Access Memories would sound on these? I'm sure these sound great. These would look great on my desk at work! Speakers... that could be a nice change. 3 contests... Finally a product I want. They look beautiful. I wonder how they compare to the Chorus 705, one of the most engaging small bookshelf speakers I have ever heard. Would look great on my desktop. for another opportunity to win a fun geek toy! you guys rock for all the contests. and they are great! Happy listening to the winner. I'd like to focalize with these. Those look simply fantastic. Thanks for the chance! Would love to win these speakers. They look perfect for my new office! Finally working outside my apartment, phew! could use new desktop speakers. These look incredible, and I would love to win! Love the simplified polished design. How would you not stare at these beauties all day at your desk?! Hopefully I will find out! Jon Iverson, be my babies daddy! thanks again inner fidelity for this opportunity, goodluck to all aspirants! I could always use a nice new set of speakers :). My son's birthday is coming soon. Please enter me in your sweepstakes. I would love to hear these! ... or at least I'd like to find out if it does. I really hope I win!!!! I'd be interested to see how they compare with my littel A2's. I know you probably would like to find out first hand, but to my ears the Focals are much better than the A2s. They sound bigger, airier, cleaner. IMO they are also better than the A5s. Great looking desk top speakers! These speakers are good addition to my desktop computer set up. Focals always sound good to me. Looks awsome. WOuld soiund awsome too? Can't hurt to have a pair of good shelf speakers. Serious upgrade for my home office. Thank you Focal and InnerFidelity! look absolutely amazing. Congratulations to the winner and good luck to all! OK, I will take them! I'd love a set of these for the office. Too bad my tiny Brooklyn apartment won't allow me to exploit their full potential. Would go great with my new computer that has no speakers!!! These would be a great addition to my otherwise drab workstation.